Each variety in this collection boasts a distinctive color combination, yet all three are highlighted in gold, so they go beautifully together. The blooms are fragrant, too. 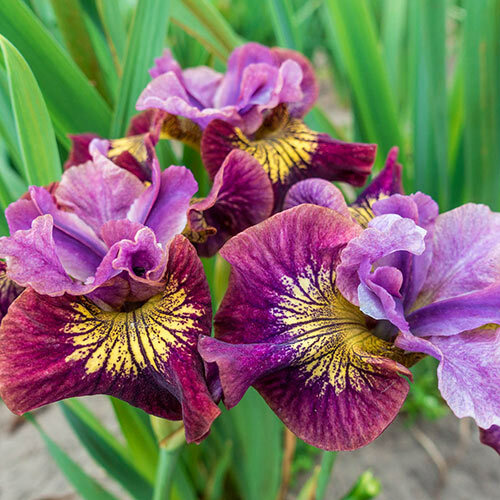 They thrive in most soil types, but the great news is that they prefer the moist areas most perennials cannot tolerate. 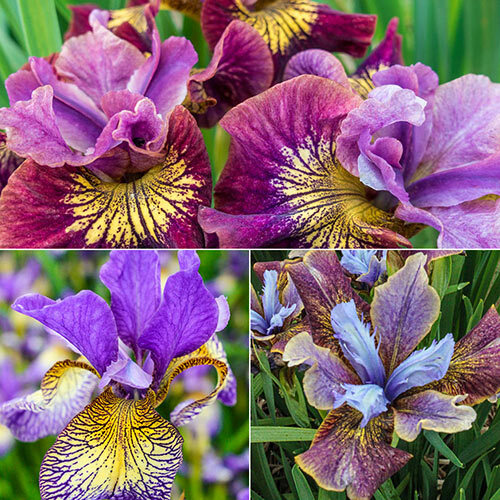 Use the dramatic, high-contrast blooms on these three siberian iris to dress up your water garden. After the blooms are through, you can leave the seed pods to create winter interest. 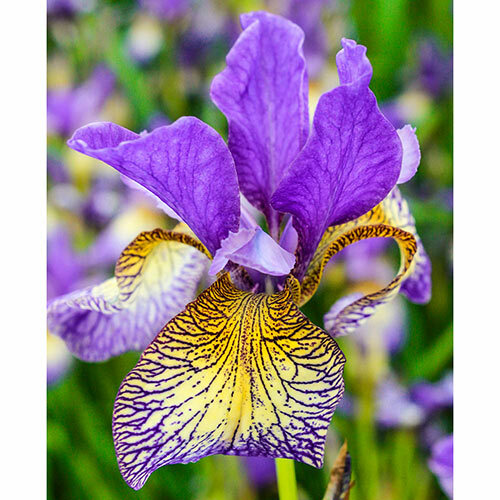 Siberian Iris are easy to grow and perennialize, and rarely bothered by deer. 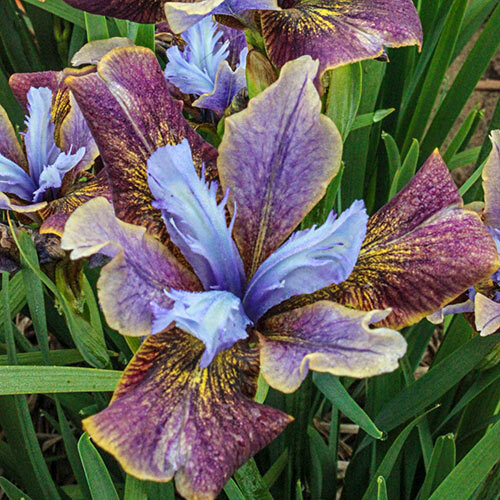 They are beautiful in a border, with elegant, slightly arching foliage.